Stripes never go out of fashion or out of style, but some seasons the humble stripe works harder than your basic breton tee. This season sees stripes being reworked in different strokes, with colourful hues and will prove to be one of the most striking trends of the season. But it’s also one of the most wearable trends and a cinch when it comes to styling. 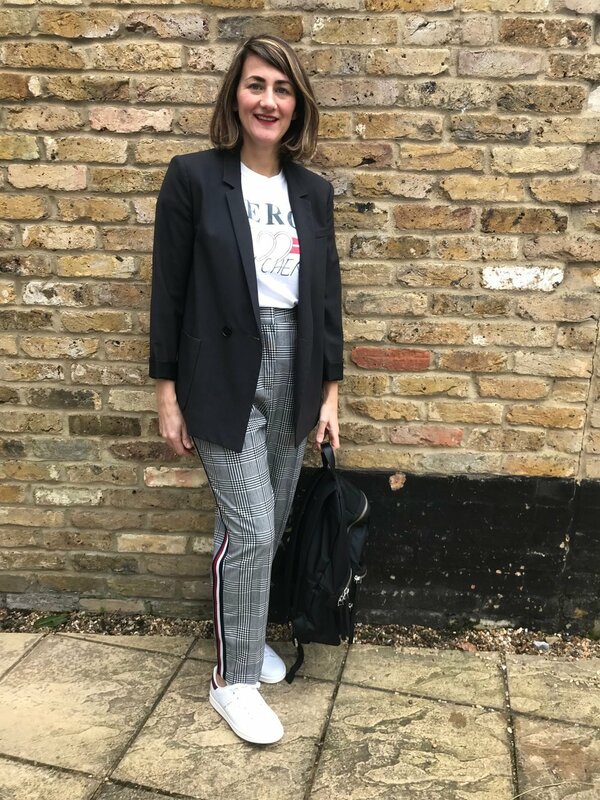 It's not just about a stripey piece of clothing this season, it's how you use the stripe that matters. It's got to have a sporty undertone to the piece of clothing or the look. The look is no longer French Parisian chic, it's sophisticated smart sports style. The strength of the trend for a stripe down the side of a pair of trousers has been gathering pace for a few seasons. This is proven by the extensive fashionista's and bloggers on pinterest posting their looks. Now if you go on any high street retailer they have them in every different colour, cut, leg shape and fabric imaginable - I counted 30 on Zara alone. 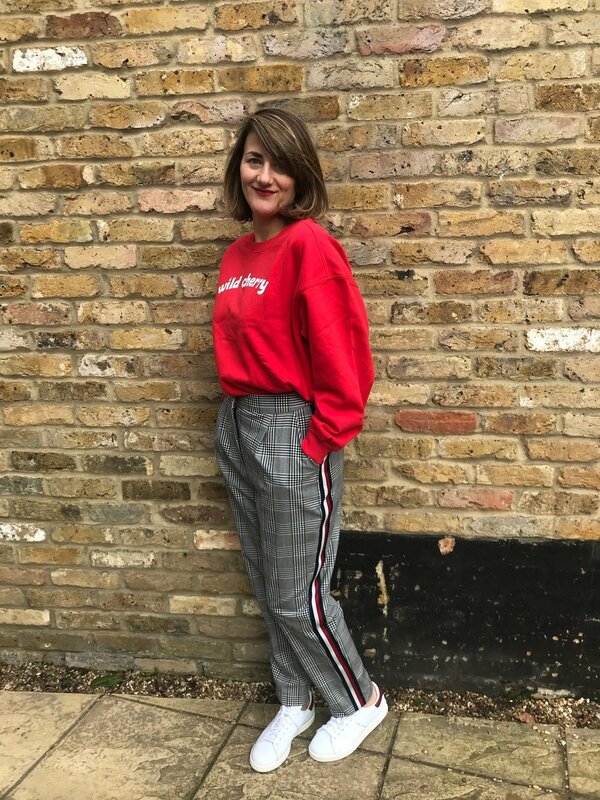 We can finally ditch the jeans in favour of these side stripe trousers, as we have an understanding of how to style them so women are now buying them. Style them with shirts, blazers, sweaters, logo tee's - anything goes! 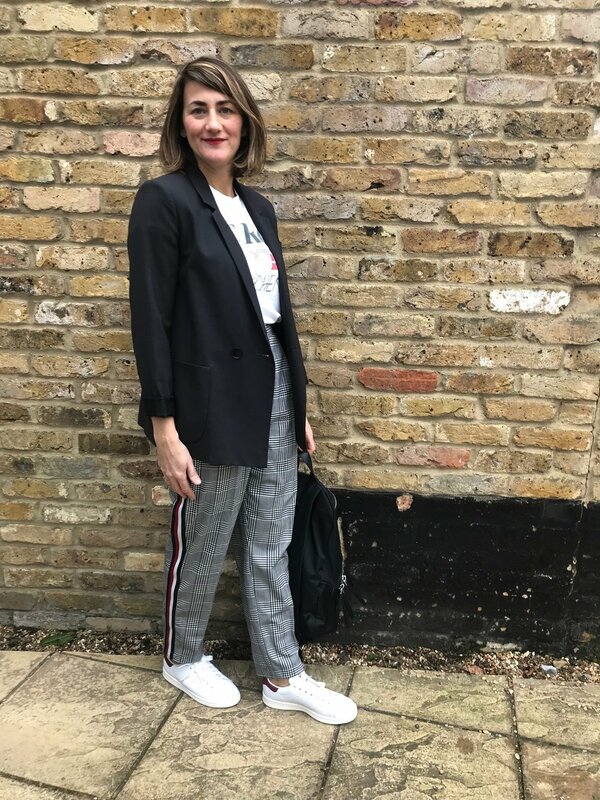 As for your footwear, it's not just limited to white trainers, heels elongate your leg and make your outfit look less gym-like and more insta-like. 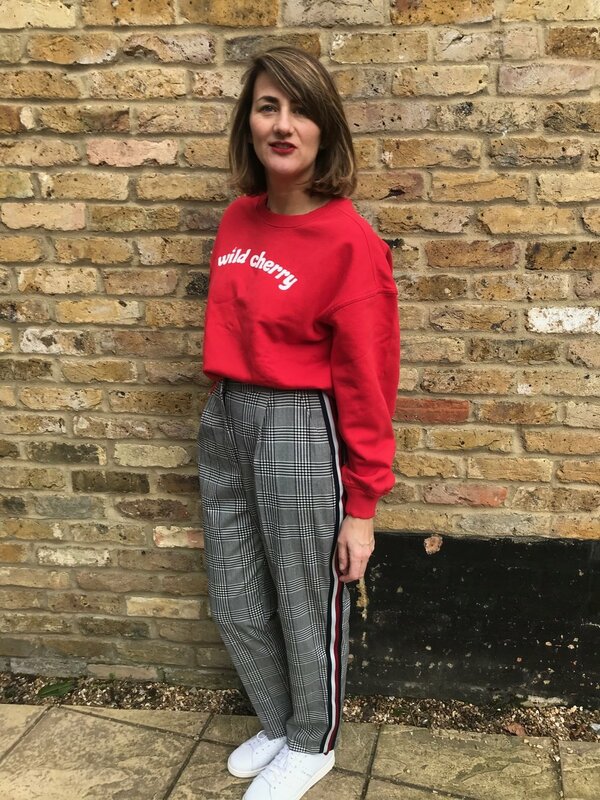 Athletic-inspired women's wear isn't going away anytime soon, so now is the time to embrace the stripes across other items of clothing. Other sports style stripes are joining the trend and can be mixed and matched in the same outfit. 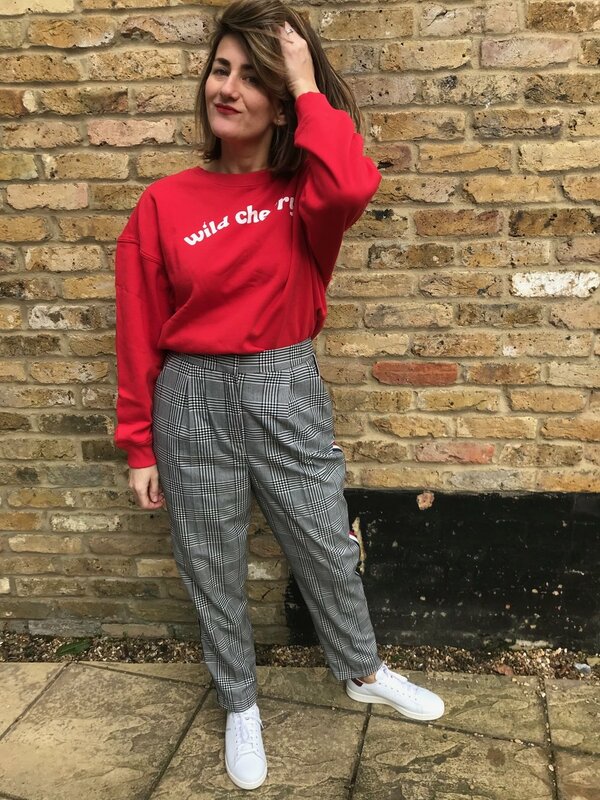 This Summer you will see wide stripe dresses and skirts, but the easiest way to wear the trend is buy styling a jumper / sweater / top with a new updated stripe on it and your look will look fresh and upto date! 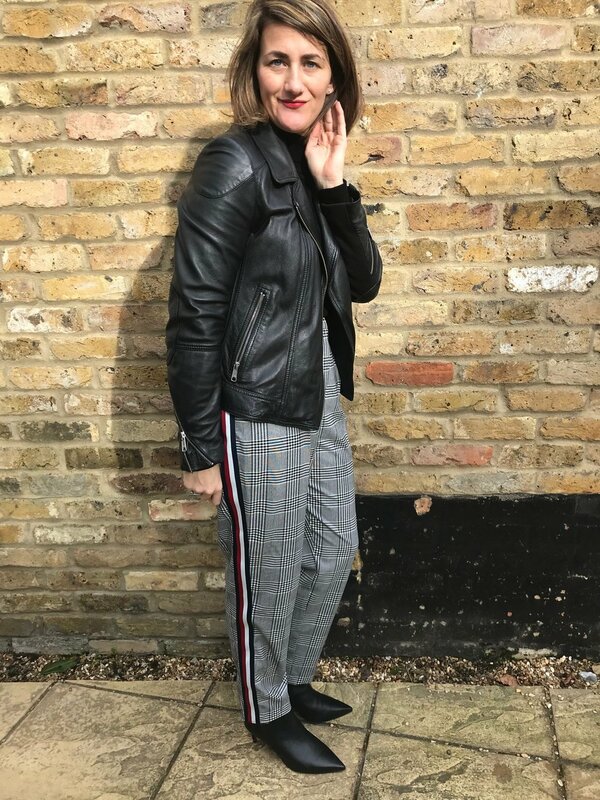 See how I have styled my check trousers from ASOS with a sporty stripe down the side.